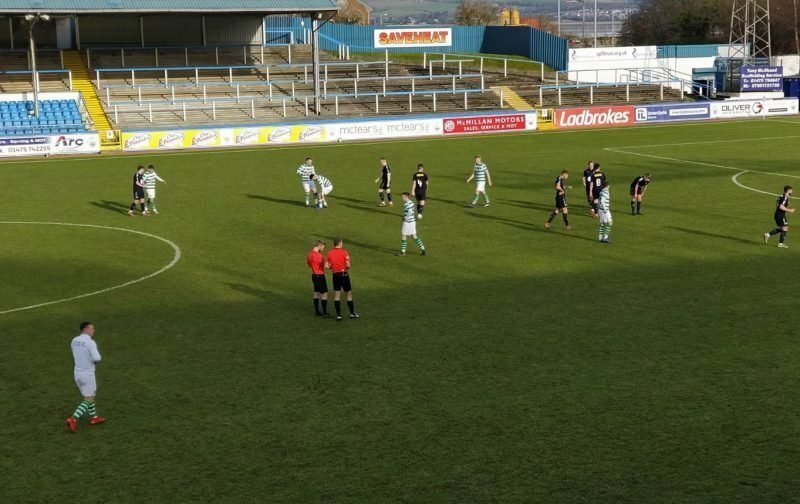 Celtic’s New Bhoy Bayo Takes His Bow But He’s Upstaged As Our Reserves Hit Four Past Falkirk. Those who have been waiting to see how our new boy Bayo got their first proper report when the details of today’s reserve game at Cappielow were published; he was selected for the squad and played the first 60 minutes of the game. He didn’t manage to score; indeed, he was prevented by excellent goalkeeping from former Bhoys keeper Leo Fasan. But even from viewing the brief details that were available on the Celtic Reserves Twitter feed, he seemed to be getting into good positions. He will be an excellent acquisition once he’s fully up to speed. Expect him to make his first team debut as early as this weekend; he won’t be 100% but that’s what games like today are for. For all he played well, his thunder was stolen slightly by two other excellent displays; one from Jack Aitchison and our young up and comer Armstrong Oxo Flex. He is the kid we signed from Arsenal and all told he is an absolute cracker. In this game, he and Aitchison were standouts. Young Jack could have been forgiven for wanting the hat-trick; he was very unselfish there. There were two other interesting appearances; Scott Allan played and so too did the German Marvin Compper. Don’t expect to see either in the first team squad at any point though. They are hanging around the club for reasons passing understanding. This would have been a more detailed, and comprehensive, review but one thing above all prevented it; Celtic Reserve games are no longer available on CelticTV. This isn’t news to anyone who’s bought the CelticTV package these last two years or so but it’s a poor showing nonetheless. I know many people who don’t have CelticTV but would get it if it showed the Development Squad’s matches as it once did.